© Tripomatic, 2014. Built using data from Sygic Travel, CloudMade and OpenStreetMap.org contributors. Licensed under CCBYSA. Build your own printable map! Save more than £200 on your trip to London with the London Pass. Get free entry to over 60 of the best attractions and skip the lines to save time. Take our free printable tourist map of London on your trip and find your way to the top sights and attractions. We've designed this London tourist map to be easy to print out. It includes 26 places to visit in London, clearly labelled A to Z. With this printable tourist map you won't miss any of the must-see London attractions. Make the most of your trip to London with the help of Tripomatic. Locate the best things to do and see in London on a map. 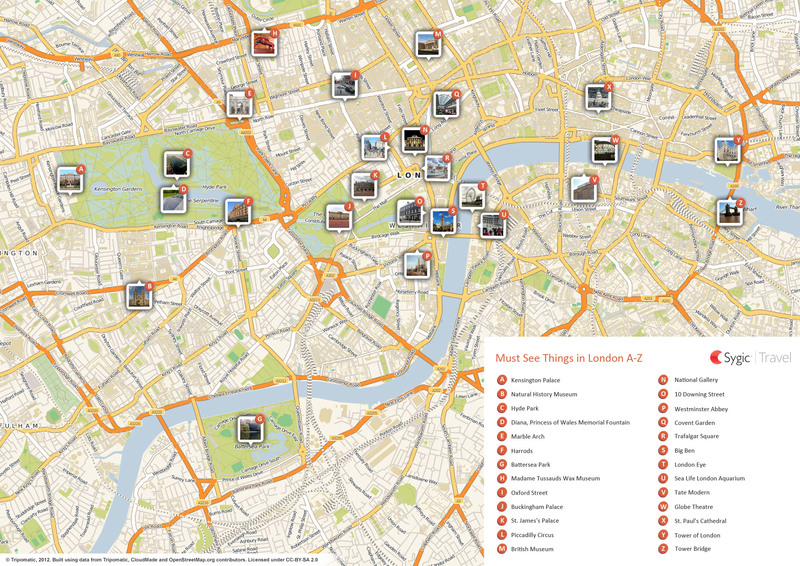 Select the ones you like the most and create your own printable London tourist map.